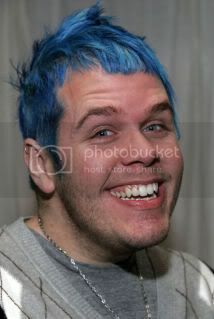 For all uninformed people, this fella to the left is gossip extraordinaire, Perez Hilton. Personally, I don't like him...he's annoying as hell (to me) and always has some LOUD MOUTH opinion about things that are NEVER that serious. Sometimes I wish he would just shut the hell up, sit down somewhere, and let his soul simmer in whatever good sense it has left. Unfortunately, that would be too much like right AND he wouldn't be the gossip extraordinaire people happen to love. He's succeeded in rubbing me the wrong way with his foolishness, yet again. This time it has to do with a certain pageant that was recently held. He asked a question of one of the contestants...basically the question was 'do you think gay people should be able to get married'. She gave a well structured and honest answer. He gets livid because...well, he's gay and I guess he feels EVERYONE should share his sentiments on gay marriage. First of all, I think it was a bad call on behalf of the pageant to let him be a judge and then let him obviously base his choice off of a bias that shouldn't have been present. Was it a bad call because he's gay? No. It was a bad call on their behalf because his opinions are not levelheaded and he allowed them to interfere with his job. He asked a question and didn't like the answer that was given but when the contestants are answering they should be judged on the delivery of their answer, not their personal opinion. The contestant delivered her answer very well but if you didn't want to hear someone say they PERSONALLY don't believe in gay marriage, DON'T ASK THAT QUESTION. This is a beauty pageant, not a political forum. So he rants about it on his website...calling the woman a b*tch and a c*nt. Really? This is how you're gonna behave over her opinion? I can't stand people like this...people who asks questions that they KNOW there is a 50% chance someone won't have a similar view to theirs and then get upset at the person who disagrees. Of all the questions he could have asked her, he chose to ask THAT question and frankly, it was a bad choice on his behalf. He obviously was not open to the idea that someone would disagree with him. Anytime you ask a question, you have to be open to the idea that someone is not going to agree with you, otherwise, shut the hell up asking questions you don't want REAL answers to. I notice a lot of people do that with their statuses (on Facebook, Twitter, Myspace, etc.). Some questions are rhetorical and it isn't always obvious so no, I'm not talking about those. I'm talking about questions like (I randomly pulled this out of my head so if it's been anyones status, I had no idea) "would I be an idiot if I slept with a married man even though he said he was getting a divorce soon". If someone replies back: "yes you would, trifling heffa; get a man who isn't tied down to anyone"...well, you got what you were looking for...AN ANSWER. Didn't mean you had to like it but then again, you didn't have to ask the question. That was just an example but people have been known to ask milder questions and then argumentatively debate someone's response. Those kinds of people shouldn't be allowed to ask questions ever in life. Everyone has an opinion, just like azzholes but it doesn't mean you have to BE an azzhole about someone disagreeing with you. Yeah, I'm not a fan of Perez either. Honestly, you're absolutely right! It was a conflict of interests to let him ASK that question! I mean the poor girl was Damned if she did and Damned if she didn't. SOMEONE on that panel would have voted against her had she chosen the OTHER view. Perez is a fool that's been glorified by people who are OBSESSED w/ the lives of celebrities and the undercover 'dirt' that comes out...I don't see him as a celeb. Just a blogger... period. Someone needs to hurt him.........just my opinion. Perez needs to do something that causes life to escape him... ugh... i cosign your entire post! Tommy: when I first heard about it I was pissed because that wasn't fair to the contestant and I was utterly confused as to when pageants started letting clowns like Perez judge these women...just an all around mess. Miss USA is the least recognized of the 2 female scholarship contests. To gain more attention, they made Perez Hilton a judge. They questions the contestants are asked are picked at random but to add more drama, they let the gay man answer it. Since she represents California and Perez lives there, her answer represented to him the faction that are banning gay marriage. But he is a clown and always will be. They put him on there just for that purpose. black girl: this is why I have grown to hate TV because if that's the case, it was all for ratings...the dumb thing about the situation is HER VIEW actually represents what the State of California feels about gay marriages...55% voted that there be no gay marriages so if anything, she does represent California's view on gay marriages LOL Perez's opinion was actually the minority that lost the vote. She shouldn't have received a low score for her answer simply because she didn't agree though...that's some bullshat.